ESL Teaching school China - Would You Like English Classes Online With One-to-one, Dedicated English Tutors? You could be a beginner with no knowledge of the English language or a rookie trying to upgrade your language. Native Monks offers English lesson to students of all levels. If you are looking to get started with English classes and are looking for personalized, custom-made lessons, look no further. 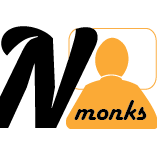 Native Monks offers dedicated, one-to-one Skype language lessons with a tutor of your choice. Choose from over a hundred different tutor and take a lesson with the one you like best. You get to choose based on your preferences like budget, location and convenient times! Get a personal panel with a multitude of unbelievable features like Set your favorite tutor, share class notes, rate your tutor, ask for feedback on your progress, avail discounts and much more. Get personal attention by your tutor with no interruptions. If you are embarrassed to ask silly doubts in group classes, Native Monks' one-to-one Skype lessons is the best bet for you.